Is your home in dire need of a roof restoration Adelaide? 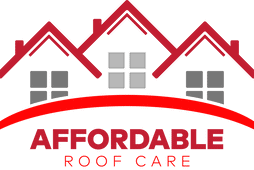 Affordable Roof Care is SA’s number 1 in roof repairs and restorations! Our roofing solutions are tailored to the specific needs of every customer, while using only the highest quality products to promote longevity. Our roof restoration Adelaide service is extremely efficient, professional and affordable. No matter what roofing service you require, Affordable Roof Care have the solution. Owner of Affordable Roof Care, Michael, is filled to the brim with experience. He was part of a team who was carefully selected to complete work on the Sydney Opera House. This speaks absolute volumes about his abilities as a roofing expert, and his personable nature. As a result, Michael has worked extremely hard to successfully instil these qualities into the rest of his team. So when you need roof restoration Adelaide, we’re the team you need. So when is it time to invest in roof restoration Adelaide, and what can it do for your home? Well, professional roof restoration has a myriad of benefits for home and business owners. First, it extends the longevity of the roof. South Australia’s climate can be extreme and unpredictable, which is why it is beneficial to maintain your roofs’ structural integrity. Secondly, a restoration will prevent roof leaks by ensuring all materials are in place and secure. Roof leaks are one of the most common causes of roof repairs, so by preventing them you can save your future self time, stress and money! Third, a roof restoration Adelaide can increase the value of your home. A weathered roof can decrease the price of your home, so why not spend a little now to make a lot! Finally, it can improve your energy efficiencies by keeping air inside your home. Affordable Roof Care are available 24/7 to handle your repairs and roof restoration Adelaide. Our qualified team of professional roofers bring extremely versatile skillsets to ensure the best outcome is achieved, every time. Our attention to detail and receptiveness to the needs of each and every client is evident in our customer-centric approach and quality of work. In addition to roof repairs and restoration, we can also take care of; ridge capping, roof inspections, roof painting, gutter cleaning gutter guard installation, plastic sheet replacements, roof bonding, repointing, valley installations and flashing replacements. Our 4.8 star Google rating tells us that we must be doing something right – check them out for yourself! As proud members of the Master Builders Association and $20 million in insurance, you can trust Affordable Roof Care to take care of your roof restoration Adelaide. For the most reliable, efficient and affordable roof restoration Adelaide, call the team at Affordable Roof Care.